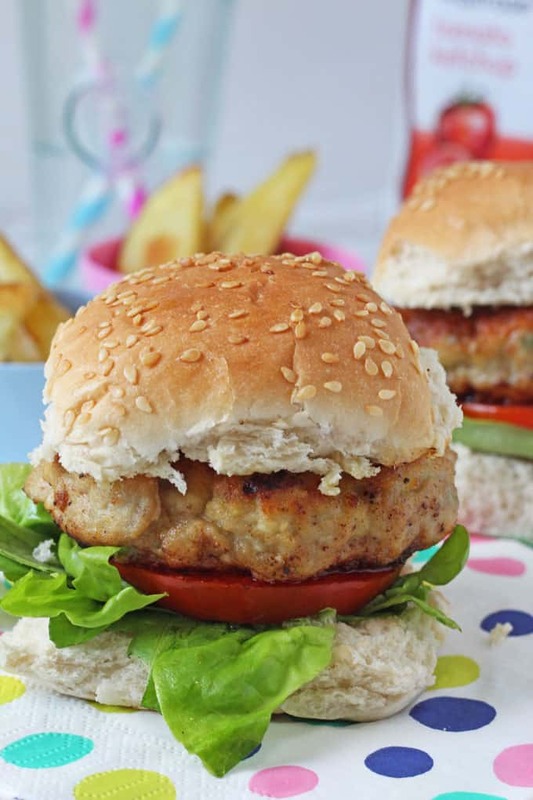 Delicious kid-friendly burgers made with chicken thighs and grated apple, all from the essential Waitrose range. If there’s one meal I know my kids will eat it’s burgers. In fact I think my daughter would eat them every day for dinner given the chance! 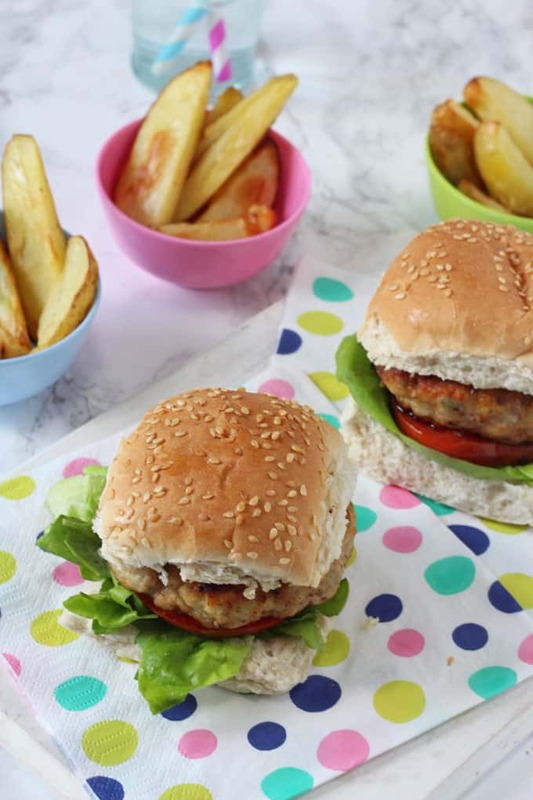 Making your own burgers at home might seem like a bit of a faff, but I have a really easy recipe to share today that your kids are sure to love. This week I’m teaming with up Waitrose to create some really easy but delicious dinners using essential Waitrose ingredients, including these burgers and also these super tasty Lamb Koftas. All these ingredients have the quality you would expect from Waitrose at prices that you wouldn’t! All of the ingredients (except for the fresh sage) used to make these burgers are from the essential Waitrose range, making this meal really affordable to serve up for a family dinner. 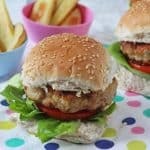 You might be surprised to see I used chicken thighs in this recipe but blitzed in the food processor they make a really tasty meat to form the basis of the burgers. In my opinion chicken thighs have more flavour than chicken breasts and of course they are more budget-friendly too. Along with the burgers I made some really easy potato wedges using essential Waitrose baking potatoes. I always leave the skins on when making wedges, so they’re super easy to prepare and also a bit more nutritious too! 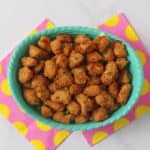 My daughter isn’t the biggest fan of chicken and will often complain when I serve her some kind of chicken for dinner. But she absolutely loved these burgers and gobbled a whole one down within minutes. Success! 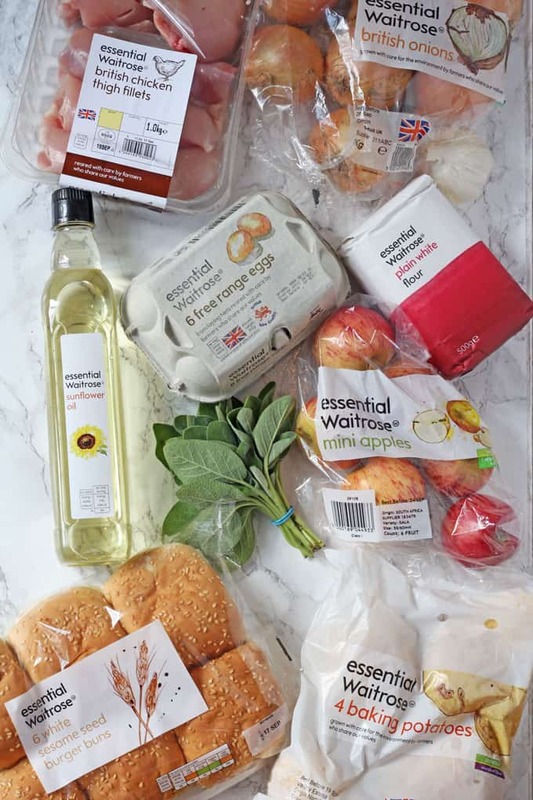 Waitrose will be lowering hundreds of prices across the range and you can see the whole essential range over on the Waitrose website. Disclosure: I have been compensated for my time spent working on this campaign with Waitrose but as always all thoughts and opinions are honest and are my own. 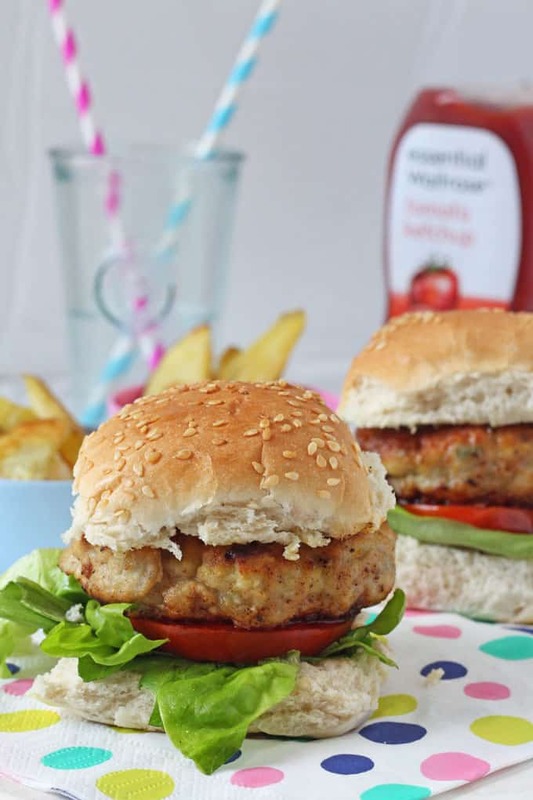 Delicious kid-friendly burgers made with chicken thighs and grates apple, all from the essential Waitrose range. Put the chicken thighs into a food processor and blitz until the meat has broken down. Add the grated apple, onion, garlic, egg and sage leaves. Season with salt and pepper and blitz again until all the ingredients are well combined. 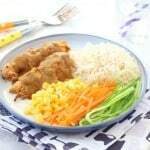 Spread the flour out onto a plate and then using your hand mould the chicken mixture into four burgers, coating on both sides with the flour. Chill the burgers in the fridge for 30 minutes to firm up. In the meantime wash the potatoes and cut them into wedges. Toss in the oil, season with salt and pepper and then bake in the oven at 200c for approximately 20 minutes. Heat the oil in a frying pan and cook the burgers for about 6 minutes on either side until cooked through. Serve immediately with burger buns, lettuce and tomato. Can we make them in advance and freeze them? How long can they be kept in the freezer? Great idea to batch make and freeze! 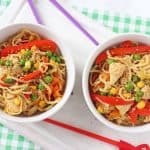 Thank you for all the recipes! I am planning an event and would love to share your blog! Do you have shopping lists by any chance??? Lovely! The chicken thigh gave them a much better taste than chicken burgers I’ve made before with breast meat.